The company’s founder, Charles Richards, was born in Wednesbury in 1838. He served an apprenticeship with a local firm of nut and bolt makers and some years later started his own business. 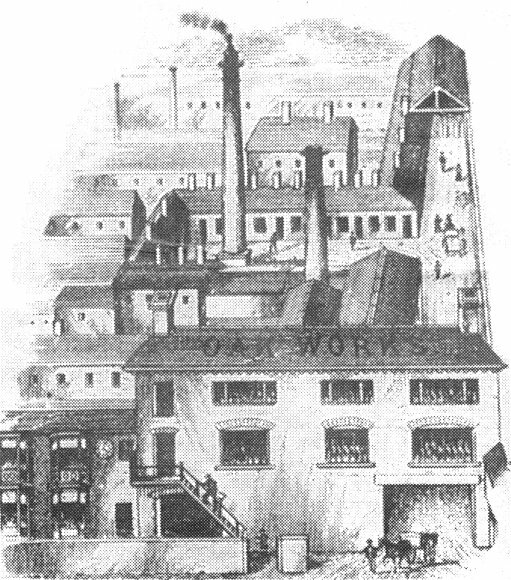 In 1870 he joined forces with William Butler and started making nuts and bolts at Lion Works in Foster Street. They employed around 40 people, mainly in the production of carriage nuts and bolts, which were supplied to railway companies, and many of the leading manufacturers of horse-drawn vehicles. The factory workers had a long working day, starting at six o’clock in the morning, and ending at five or six o’clock in the evening, with a half hour break for breakfast and an hour for lunch. 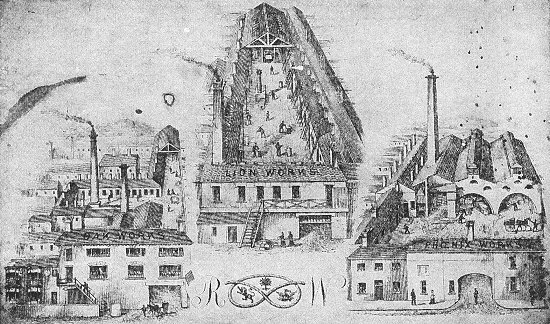 The firm soon gained a high reputation throughout the world for its superior products which were made from high quality Swedish iron. 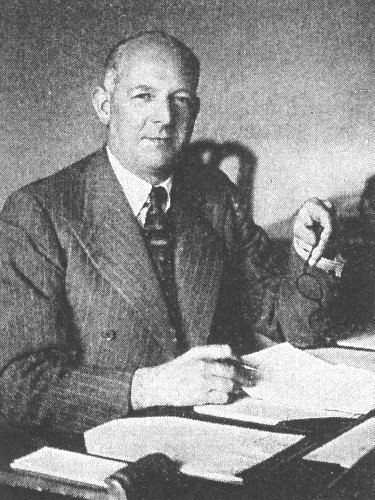 Mr. Charles Richards, founder of the company. After several years William Butler left the company and Charles Richards went into partnership with Mr. Wynn. 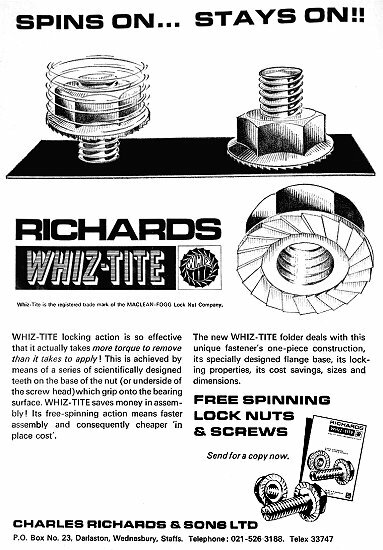 The firm became known as Richards and Wynn and produced a much wider range of products including bright and black engineer's bolts, coach bolts, nuts and set screws, collar screws, axle bolts, shoful, clarence and bed clips, boiler studs, shackle plates, "D" shackles, carriage bolts, deck bolts, handmade hot pressed nuts, bolt ends and rivets, and telegraph iron work. By 1859 Charles had married Louisa, who also came from Wednesbury. William, Silas, Charles, Arthur, Samuel, Ernest, Frederick, Alice, Bertha, and Louisa. Their youngest daughter Louisa, born in 1878 married Walter Wilkins in 1908, one of the founders of Wilkins and Mitchell. Due to a huge demand for the company’s products, Oak Works and Phoenix Works were purchased. By 1881 the company employed 130 people. Within a few years Mr. Wynn retired and four of Charles Richards' sons joined the company making it very much a family concern. They were Silas and Arthur who were responsible for the management of the works, Charles, who looked after the commercial side, and Samuel, who looked after outside sales. They worked hard, and the business prospered, soon outgrowing the three factories. The company's first business card. The other side of the card showing the three factories. The original trade mark with three symbols inside the Staffordshire knot representing the company's first three factories - Lion Works, Oak Works, and Phoenix Works. A larger factory where production could be increased was essential. In 1882, during the depression in the iron trade, the Darlaston Steel & Iron Company went into liquidation and was auctioned at Wednesbury Town Hall. 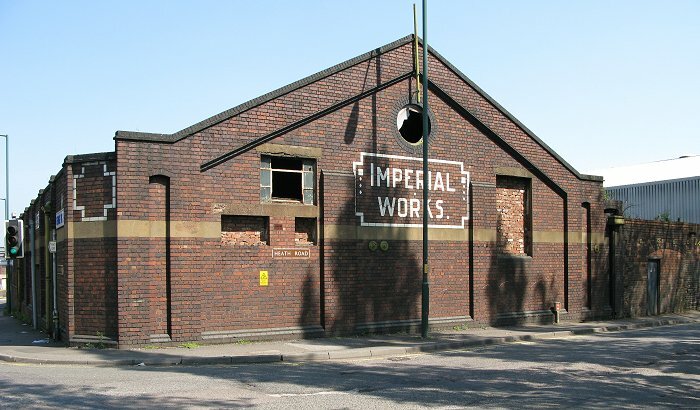 Part of the site, south of the canal alongside Heath Road, including a railway siding, was purchased for the new factory, called the Imperial Bolt and Nut Works, and later abbreviated to Imperial Works. The land alongside the site, known as The Flatts Estate, an area of approximately 30 acres, full of old coal mines and spoil heaps was also acquired with future expansion in mind. At a much later date part of the land was given to Darlaston Council, and Richards Street was built there. 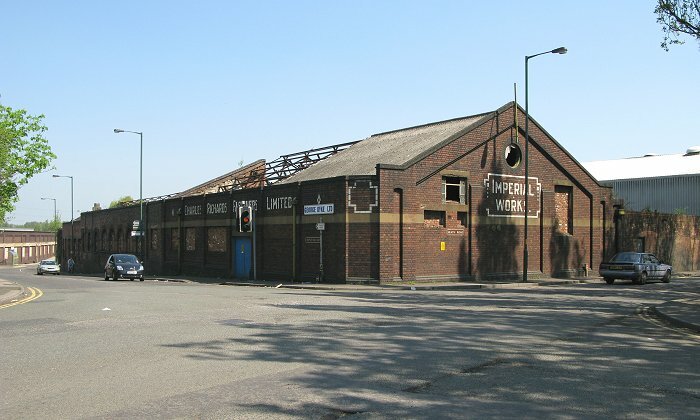 The firm moved to Imperial Works in 1886 and closed the original factories. 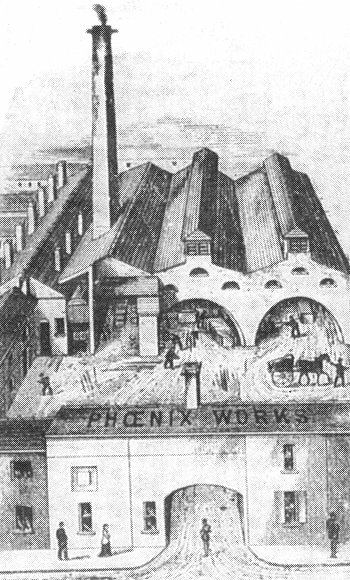 In 1904 the newly formed Wilkins and Mitchell rented Phoenix Works for a time. Imperial Works covered three acres and included stock and packing warehouses occupying a space of 150ft. by 40ft., an Oliver shop 200ft. long, and a large machine shop for making blanks. The factory also included an extensive blank warehouse, a screwing shop 140ft. by 80ft., blacksmith's shops, and forges etc. Imperial Works as it is today. Modern machinery was used throughout the factory including powerful engines to drive the machinery, varying from 20 to 60hp. Goods were transported by the adjacent canal and railway sidings from the nearby London & North Western Railway. Only the best raw materials were used including Swedish iron. An Oliver in operation. The bolts and nuts were originally forged with the treadle-operated Oliver, a foot-operated hammer which made light work of the forging process. The Oliver had been invented in the middle ages, and adapted for bolt and nut making in the early nineteenth century. It revolutionised the manufacturing process, reducing production costs, and greatly increasing the output. 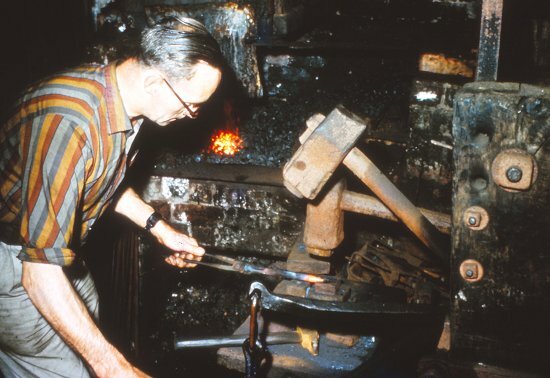 The men who operated the Olivers had to also blow their own fires when heating the metal. They often brought their own children along to do this work for them. The larger nuts and bolts were first forged under a steam hammer, before being taken to the Oliver operators to be hand dressed. Due to the great demand for the company’s products, new types of machines were installed, including open and closed die, and vertical heading machines for making bolts, and hot nut forging machines. The new machines didn't completely supersede the Olivers. They continued to be used for many years. A close-up view of an Oliver. A final view of an Oliver. The nuts and bolts produced at this time all carried a Whitworth standard thread. The hot nut forging machines easily handled 2½ inch diameter nuts which measured nearly four inches across the flats. They were forged from rectangular bars measuring just over 3½ inches wide by 2⅜ inches high, and weighing around 2 cwt. Each ton of nuts produced was made from 35 cwt. of bars. 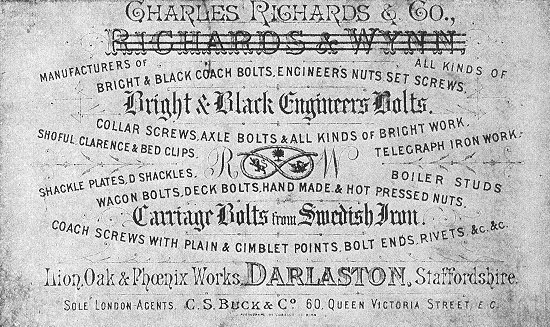 One of Darlaston’s most enterprising and successful firms, and one which has gained a splendid reputation in all parts of the world for its productions, is that controlled by Messrs. Charles Richards and Co., manufacturers of bright and black coach bolts, engineers’ nuts, set screws, bright and black engineers’ bolts in iron and special steel etc., etc. 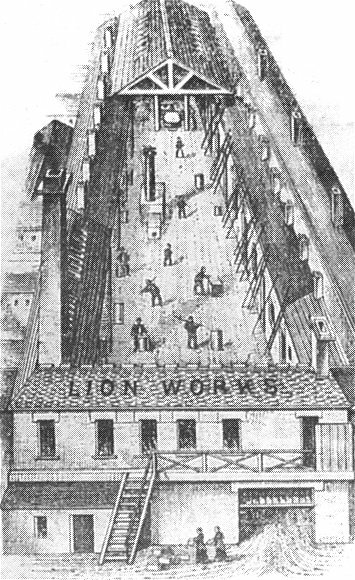 (late Lion, Oak and Phoenix Works), Imperial Works, The Green, Darlaston. Since its inception about twenty years ago, it has had a prosperous career, which speaks to the ability, energy, business, shrewdness and diligence shown in its management from the commencement, and which testifies to the firm’s sound judgement and administrative abilities, and the fact that they now control one of the best known concerns of this character throughout the United Kingdom, and whose high-class manufactures are known in all parts of the world, for their excellent quality, workmanship and finish. In consequence of their large and increasing business, Messrs. Charles Richards & Co. have recently taken over very extensive premises known as the “Imperial Works”, The Green, covering over three acres of ground. They are splendidly constructed on the very best lines, and specially adapted for the various qualities of goods made, no expense being spared in order to get everything as perfect as human skill can procure for the production of Darlaston’s famous industry – “Bolts and Nuts” etc. The works comprise extensive, lofty, modernly built, stock and packing warehouses, one hundred and fifty feet long by forty feet wide, admirably equipped and arranged; oliver shop, two hundred feet long; large machine shop for making blanks; extensive blank warehouse, parallel with screwing shop; very commodious screwing shop, one hundred and forty feet long by eighty feet wide, fitting and blacksmith shops, forges, stores, etc. The whole of these buildings are laid out in a most systematic manner – the manufactures being commenced at one end of the range, and finished at the other end, from its most crude form. There are powerful engines of the best type, ranging from twenty to sixty nominal horsepower, replete with the most modern machinery in every variety for the different departments throughout the works. A costly plant of the most advanced style has been fitted up with all the necessary appliances of the trade. There is every facility for the transmigration of goods either by water, rail, or road to any part of the world – sidings of the London and North Western Railway Company run right into the works. The firm have their own wharf of canal in the works for loading of goods by boats to their different destinations with mechanical apparatus for loading and unloading, etc. 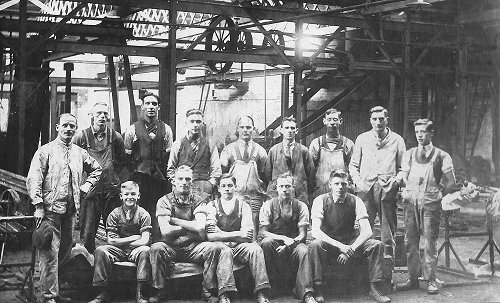 Messrs. Charles Richards and Co. make a special feature in their manufactures, using only the best materials in steel and iron for making their goods, including the finest brands of Swedish iron; great care being exercised by the members of the firm in the selection of materials for their celebrated specialities. They manufacture every description of black and bright coach bolts and nuts, set screws, bright and black engineers’ bolts from one-eighth to four inches; also carriage bolts from Swedish iron. A leading line is their coach and engineers’ bolts and set screws, which are made from specially prepared steel; and their increasing demand by coach builders and engineers, testifies to the satisfaction they are giving by their superiority over other goods of a like kind in the market. They also manufacture collar screws, axle bolts, and all kinds of bright work, shoful, Clarence and bed clips, telegraph ironwork, shackle plates and D shackles, boiler studs, wagon bolts, deck bolts, hand-made and hot pressed nuts, coach screws with plain and gimlet points, bolt ends, rivets, etc., etc. The firm do an extensive home and large foreign trade; these splendid goods becoming very popular with home and foreign buyers, in consequence of their excellency in manufacture. There are a handsome suit of offices, well appointed, with an adequate clerical staff to carry on the extensive business of the firm. A keen personal supervision is exercised over every department by the proprietors to the minutest matter in every detail; practical foremen are appointed for each of the different branches, and a large staff of experienced workmen are employed. In home and foreign commercial circles Messrs. Charles Richards and Co. are known for their strict probity and honourable dealing. The early years of the twentieth century were a sad time for the Richards family. 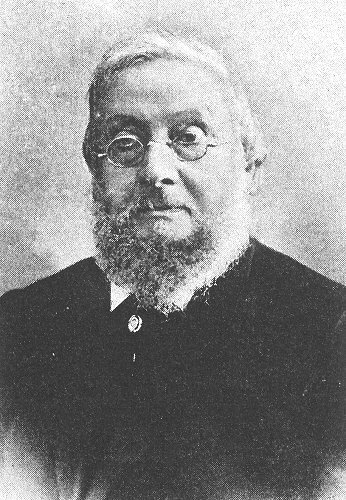 Samuel died in 1902, whilst still in his mid thirties, followed in 1905 by Charles senior, the founder of the company, who died at the age of 67. Two years later Silas passed away at the early age of 48. The business was then run by the two surviving brothers, Charles and Arthur. Charles looked after sales, whilst Arthur managed production. They worked long hours. At the end of the working day Charles would take home all of the day’s correspondence and enquiries, and without any reference to price lists, make out quotations and reply to letters. He sat up until the early hours of the morning to ensure that everything was done. He was assisted by one of his sisters who addressed envelopes and stuck stamps on them so they could be posted next morning. Around this time two sons of Charles Richards junior joined the company. They were Harry Richards who started work in 1904 and took an active part in the production side of the business, and Mr. Charles W. Richards. Machine technology continued to improve, and new machines were acquired to increase production, including cold heading machines, and automatic screwing and pointing machines, which carried out the operation in just two cycles. Another machine, called the “Boltmaker” produced a finished bolt from a coil of wire which was automatically fed into the machine. Previously three separate machines had been used for this operation. Nut forming machines were also installed, which made nuts from a round bar without applying heat. The new machines ensured that the products were made to a high standard, at an economic price. They were essential to keep the manufacturing process profitable because at the time the cost of raw materials greatly increased, and higher wages were expected. The new machines also allowed the company to produce the vast quantities of nuts and bolts that were ordered by the growing number of vehicle manufacturers. A new heat treatment plant was installed using the latest type of electric furnaces for hardening and tempering, and the facilities in the test house, and the laboratory were improved. 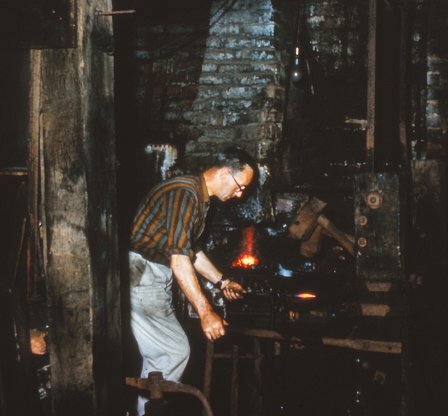 The careful heat treating of machine tools greatly extended their life, and alloy steels were used instead of carbon tool steel. 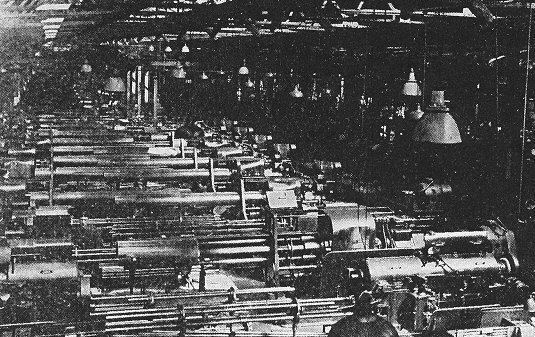 A section of the Bright and Automatic Shop showing multi-spindle automatic machines. An advert from 1922. A new firm called The Midland Bolt, Nut & Rivet Company Limited was formed by Charles Richards and Sons, and a group of other Darlaston manufacturers. It had a range of new machinery which was used for the benefit of the local manufacturers. The company installed cold heading machines for making hexagon, square, and carriage bolts in two operations on two machines. The first machine headed the material to form a round head, which was trimmed on the second machine to form a hexagon or square. In 1926 the company went into liquidation and was purchased by Charles Richards. The whole operation and plant was moved to a new building erected on the Flatts Estate, in Richards Street, which still retained The Midland Bolt, Nut & Rivet Company Limited name. 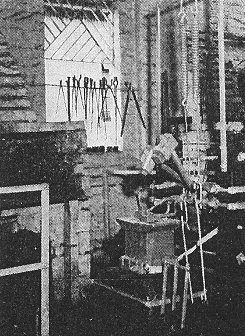 Another section called the New Imperial Works, also in Richards Street, was added for the screwing of bolts and the tapping of nuts, repetition parts, and special turned bolts made from hot or cold forgings. All of the existing plant for the production of bright nuts and bolts was moved there from Imperial Works. Charles Richards and Sons also made advances in screwing equipment. A section was set aside for the manufacture of die heads, ground thread taps and dies, and thread rolling dies. The ground thread taps and dies were essential to ensure great accuracy in the screw threads. All gauges were hardened and ground to guarantee close tolerances and uniformity. The material used in the Bright Department was drawn in the Bight Drawn Steel Section, started in 1911. Thousands of tons of black bars, of free cutting quality were purchased from America for the raw material because at that time they were not made in this country. 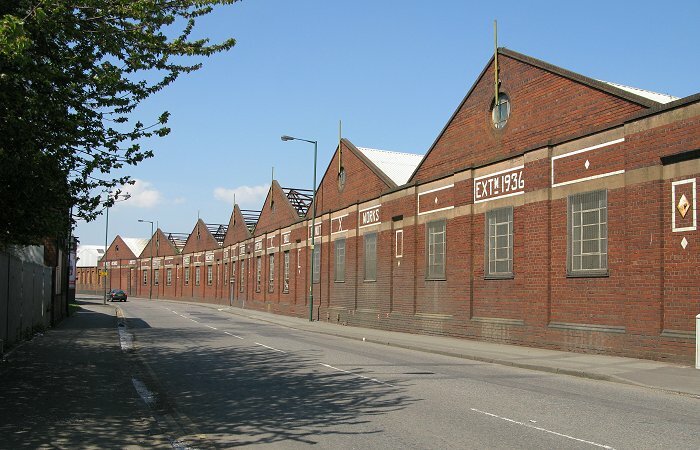 Extensions were made to Imperial Works after the company purchased an adjoining factory in 1935, containing a rolling mill for the production of wrought iron. The factory was used to extend the Screwing Shop, and to provide a site for a new Black Warehouse, and Steel Stockyard. Work on the new extension was completed in 1938. 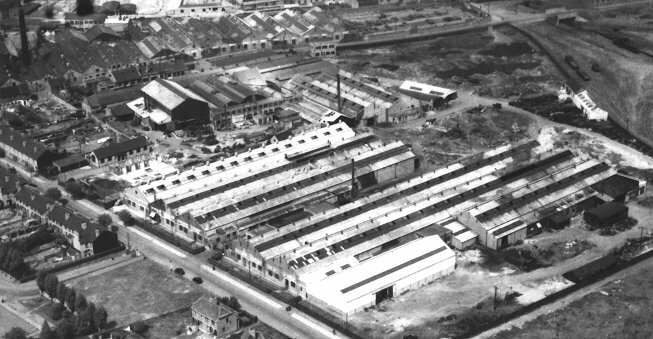 An aerial view with Imperial Works in the background, and the Midland Bolt, Nut & Rivet Company Limited in the foreground. Fred Parker, Sam Parker, Bernard Warden, and Herbert Dean. Will Randel, George Stanton, Arthur Day, Jack Oldfield, and George Evans. An advert from 1937. Extensions were also made to the Engineering Department, where repairs were carried out, and new special purpose machines were developed for use in the factory, to improve production and quality. Facilities were added for the training of apprentices, and the most modern machine tools were acquired. Everything was done to encourage youths to join the company’s apprentice scheme where they were given a thorough training to prepare them for any future role. The Engineer. 29th March, 1940. Lighting in a Nut and Bolt Factory. It is just over a hundred years since Joseph Whitworth set up his own Machine tool shop in Manchester and started his collection of screwed bolts with a view to standardising the relationship between the diameter of the bolt and the threads. Previously when a machine needed new fixing bolts the repairer had to make and thread special bolts, for the original maker of the machine used whatever diameter or thread he fancied. Today, not only have Whitworth's standards been adopted throughout the world, but nut and bolt manufacture has been made either an automatic or semi-automatic process. 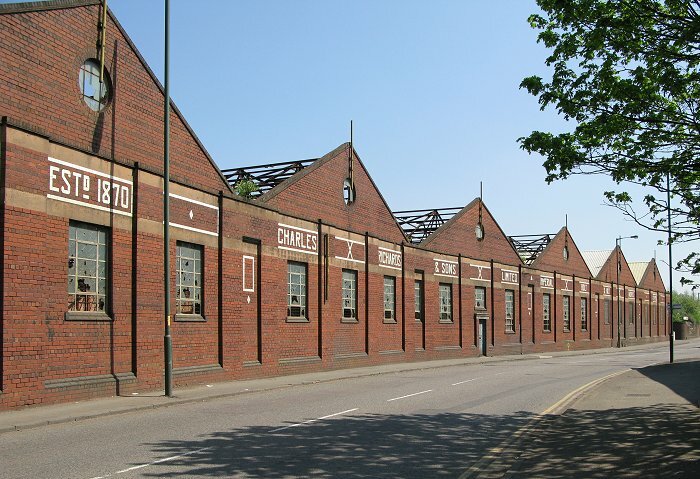 When the firm of Charles Richards and Sons, Darlaston, was founded in 1870, nuts and bolts were made by the method called the ‘Oliver’ process, entirely by manual labour through a treadle. At this time the firm employed some 70 or 80 hands and possessed only two bolt-making machines. By 1914 the number of employees had increased to several hundred, and it was then decided to scrap the obsolete gas lighting installation for electricity. Since those days the firm has grown to well over a thousand employees, making all types and sizes of nuts and bolts. 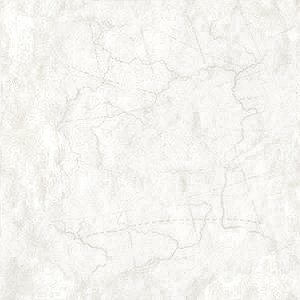 Many additions and improvements have of necessity been carried out in the lighting. Some twelve months ago the management decided to have a complete lighting survey of the entire factory, and as a result, it was arranged to replace the multiplicity of local lighting units over the machines by a general lighting scheme of ‘Metrovick’ mercury discharge lamp units. Considerable care was necessary in the layout to eliminate shadows from overhead belting, and the changeover has been found a great improvement. Output has increased, and operatives have expressed satisfaction with the improved lighting. The general standard of illumination averages 10-12 foot-candles, and in special sections it is 20-25 foot-candles. Up to the present about one hundred 125, 250, and 400 watt mercury discharge units have been installed, but a considerable part of the lighting still remains to be converted. In addition to general lighting, Metropolitan Vickers have been responsible for an interesting A.R.P. lighting installation. In each of thirty shelters is installed an automatic set, consisting of a metal rectifier fed from the mains. The rectifier can supply current to the lamps in the shelter, through a transformer in the set itself. When the mains voltage is cut off, the load is automatically transferred to an alkaline battery, which is also mounted in the set. This battery is capable of maintaining the full lighting in the shelter for six hours, or half light for twelve hours. It is pointed out that although the first cost of this arrangement is rather high, there are no maintenance charges, whereas if duplicate sets of batteries are used, they must be regularly charged, particularly if the acid type of battery is used. In 1945 Charles Richards junior died, leaving his son Charles W. Richards in charge, aided by his nephews Harry Richards and Philip Richards. Sadly Philip died just two years later. 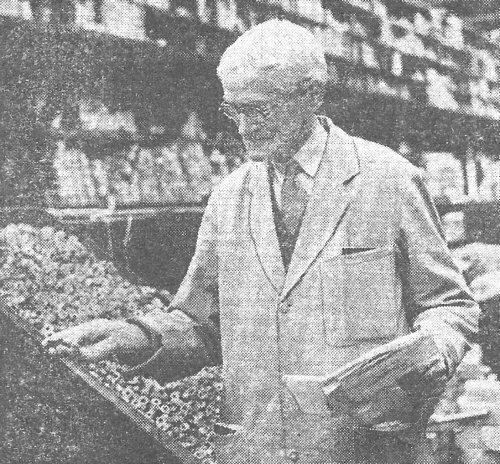 Charles W. Richards, the new Managing Director continued in his father’s footsteps, looking after sales. He was also Vice Chairman of two nut and bolt associations, Chairman of the Newport River Company Limited in South Wales, Director of Criterion Stampings Limited in Willenhall, where Philip Richards was Chairman, and Chairman of Garratt & Bunch Limited of Willenhall. 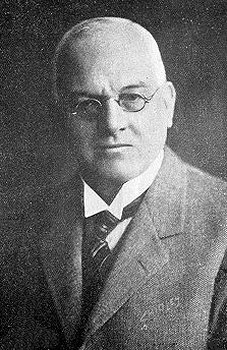 Charles Richards and Sons had an interest in all of the three companies. By the early 1950s the fourth generation of the family had become directors of the company. They were Charles Peter Richards, son of the Chairman, John Richards, great grandson of Arthur Richards, and David Richards, eldest son of Arthur Samuel Richards. An advert from the mid 1960s. It was a family business in every way. The Richards family treated the employees extremely well. They almost became an extended family. They looked after their welfare and provided social activities for them. The canteen opened in 1918 to provide meals and act as a base for the sports and social activities. A bowling green was laid on which county matches were played, and there were facilities for tennis, football, and indoor games. A fully equipped surgery was also opened with a nursing sister and two assistants. An advert from the mid 1950s. Courtesy of Christine and John Ashmore. To show their appreciation of long serving employees, certificates were given to people with thirty years or more service. Because of the prevailing family atmosphere in the factory, it was an enjoyable place to work, so that many employees spent the whole of their working lives there. For instance, Mr. J. W. Reed, the Company Secretary worked there for over sixty years and retired at the age of eighty nine. 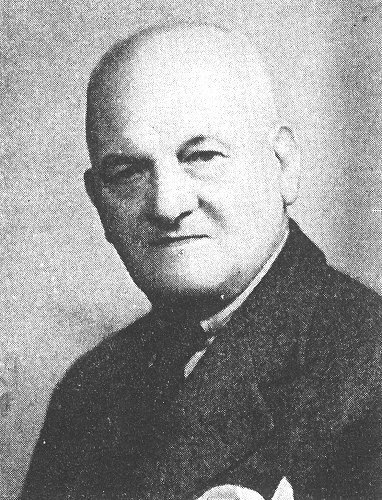 Mr Joseph Perkins, who joined the company in 1891, worked there for around seventy years. 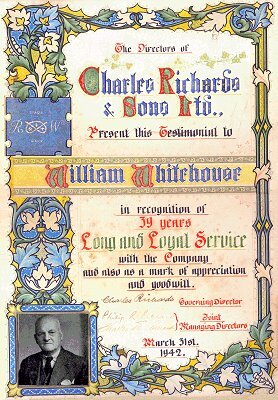 A long service award that was presented to William Whitehouse on his retirement from Charles Richards in 1942. It is signed by Charles Richards junior and includes his photograph. Courtesy of the late Bill Whitehouse. 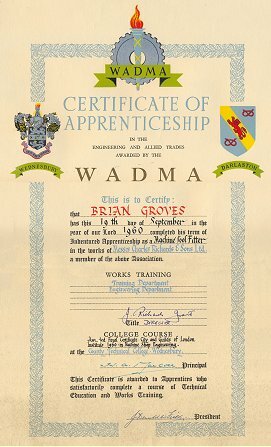 Brian Groves certificate of apprenticeship, dated 19th September, 1960. It was awarded after he completed his term of indentured apprenticeship as a machine tool fitter at Charles Richards & Sons Limited. They were a member of WADMA the Wednesbury and Darlaston Manufacturers Association. In the 1960s the main products were black, bright, and high tensile bolts and nuts, high strength torque bolts for use in the construction industry, and repetition parts including fishbolts, screw spikes, rail clips and parts for the permanent way, and telegraph ironwork. 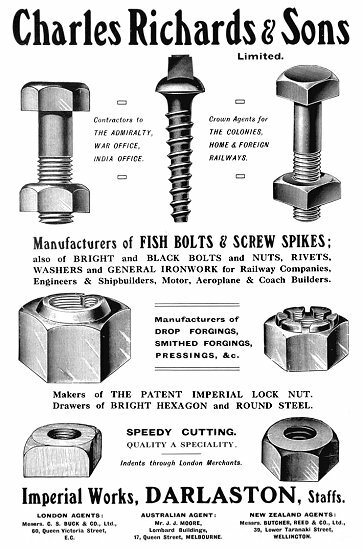 Screw spikes had long been a successful product. Back in 1932 the company received an order for five hundred tons of them from China. The firm’s products were sold throughout much of the world. In the early years there were many customers in Australia, New Zealand, and South Africa, but as time progressed customers were found in nearly all of the countries in the world. The company kept an eye on potential global markets and produced fastenings to suit. By the late 1950s the oil industry had greatly expanded, and so specialised fastenings were produced, which were used throughout the industry. The home market was not forgotten. In the 1950s the company had agencies in every part of the country, and Charles Richards & Sons became one of the largest private bolt and nut makers in the world. A display of galvanised black hot-forged products, and railway and telegraph fittings. 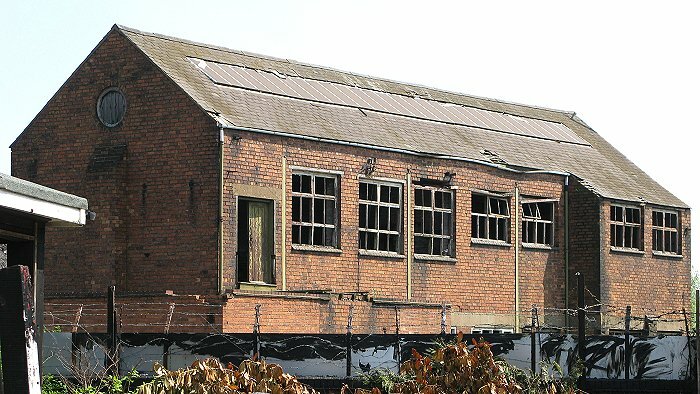 The various buildings eventually covered many acres and were equipped with the most modern tools and machinery possible, including a galvanising plant. A new office block was built in Heath Road, and blade hot forged products were added to the product range. The company became one of the largest employers in the area. 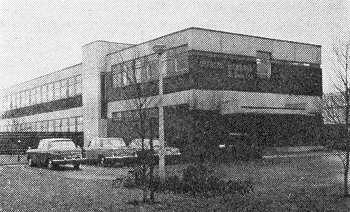 Charles Richards & Sons offices, Heath Road, in 1976. 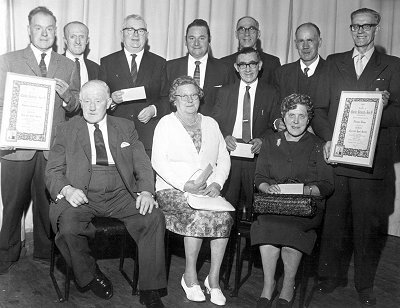 A photograph of a presentation of long service awards in the canteen, possibly in the 1950s. It is from a newspaper cutting, from an unknown newspaper. The awards were presented by Mr. C. W. Richards, and the recipients were thanked by Mr. P. H. Richards for their long and devoted service to the firm. Awards for 50 years service were presented to: Mr. W. C. Hill, Mr. E. Goodman, Mr. J. E. Williams, Mr. I. Mander, Mr. A. Green, Mr. C. Reed, and Mr. H. Cotterill. Awards for 40 years service were presented to Mrs. M. M. Lee, Mr. G. Alldritt, Mr. R. Gibbs, Mr. H. Evans, Mr. C. H. Martin, and Mr. D. S. Jones. Awards for 30 years service were presented to: Mrs. M. A. Wiles, Mrs. P. I. Russell, Mr. J. J. W. Arnold, Mr. H. J. Day, Mr. A. E. Griffiths, Mr. G. S. Orson, Mr. C. H. Kynaston, Mr. E. E. Hubbard, Mr. D. Walters, Mr. J. Jones, Mr. H. T. Halford, and Mr. T. Kirk. Courtesy of Christine and John Ashmore. Another photograph from a newspaper cutting from an unknown newspaper, possibly from the 1950s. It shows Stores Foreman, 84 years old Joe Perkins who lived at 455 Darlaston Road, Pleck. He was in his 67th year with the company, and about to retire. This was believed to be a long service record. 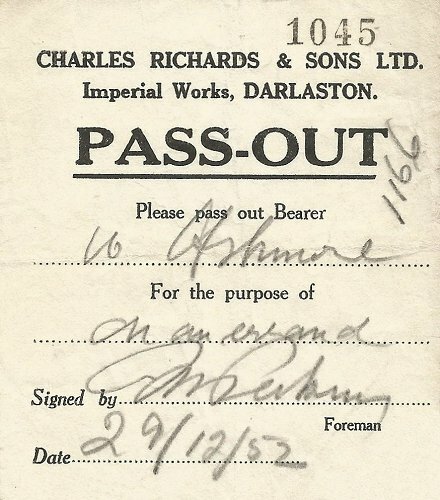 In order to leave the factory during working hours, employees had to get a pass-out to present to the security people at the factory gate. This one appears to be signed by Joe Perkins who is in the photograph above. A presentation of long service awards. Courtesy of Brian Groves. 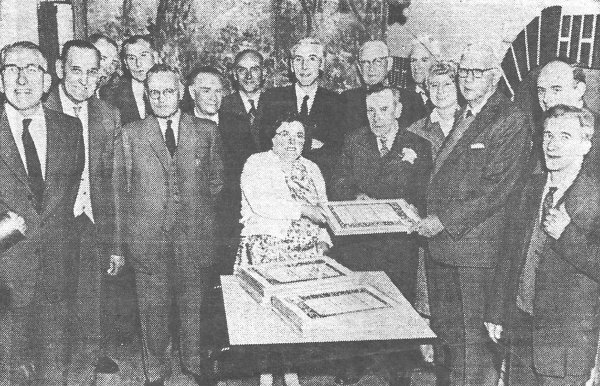 The photograph above was taken at a long service awards presentation and dinner in about 1960. Charles W. Richards can be seen on the left at the front. The dinner, an annual event, was attended by about 180 people, many of whom were retired. Certificates and cheques were presented to Mrs Elsie Stain and Mr. Horace Stevenson, both of whom had worked at Charles Richards & Sons for 50 years. Mrs. Stain worked in the welfare department, and Mr. Stevenson was in the wages department. Five people received awards for 40 years service, they were: Miss Kate Garrett, Mr. Frederick Atwell, Mr. George Wells, Mr. John Hardwick, and Mr. William Skidmore. Others who received awards for 30 years service were: Mr. Elijah Bailey, Mr. Frederick Gittings, Mr. James Thorpe, Mr. James Fisher, Mr. Thomas Hutchinson Groves, Mr. Sidney Underhill, Mr. George Powell, Mr. William Fletcher, Mr. John Holdcroft, Mr. John Blackhouse, and Mr. Victor Parsons. Another view of Imperial Works. The future looked bright until the beginning of the 1980s when things went badly wrong. In June/July 1980 the company was taken over by a South African firm which disposed of Richards' assets and closed the Darlaston factory, bringing 100 years of successful manufacturing to an end. The company is still liked and well remembered today, particularly by the ex-employees. Occasionally they have get-togethers which are always well attended, but inevitably with the passing of time the numbers slowly fall. Although much of Imperial Works is now derelict, some parts of the factory are now used by other companies, as is most, if not all of New Imperial Works. Looking down Heath Road at what remains of Imperial Works. This building, which still stands, was used as a storeroom in the factory. It overlooks the canal, and was built by the Darlaston Steel and Iron Company. It must be the only surviving building from the old ironworks. A final view of the works, showing the extension built in 1936.